Brooks Brothers proves its ability to adapt to modernity with this Regent Sharkskin 181 suit, a much more modern take from the classic retailers. 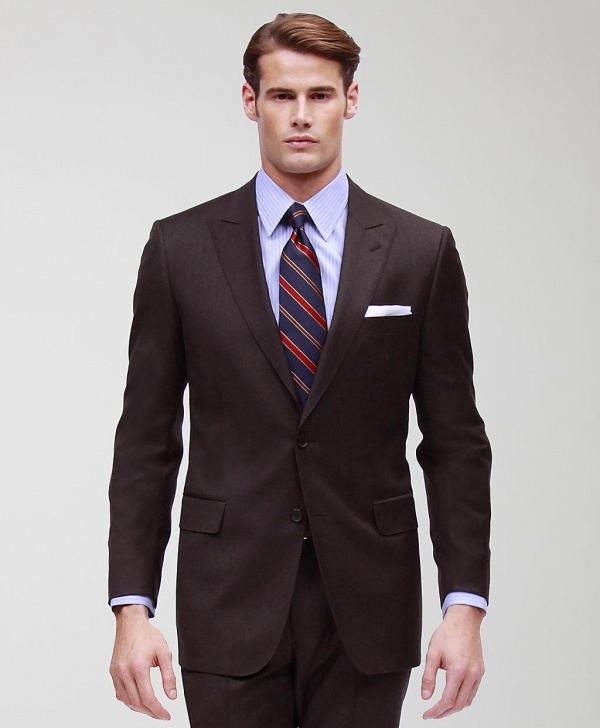 The suit features a slimmer cut, and modern peaked lapel, two button design, along with pick stitching along the lapels. The design is made in Italy using wool from the same country, making for a true quality suit. Available online now. This entry was posted in Suits and tagged Brooks Brothers, Italy, Regent Sharkskin, Suit. Bookmark the permalink.